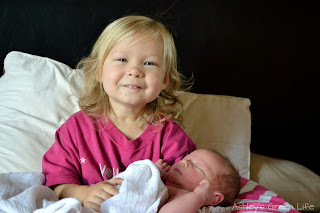 Well greenies, it's time for me to share my birth story for Baby Mila! It all started on a Monday morning, after a 3-day weekend from my teaching job. I woke up, worked out, and headed to school fully prepared to be greeted by my co-workers asking, "Are you still here?" since my due date was Sunday. Sure enough when I got to work, I told everyone, "I'm fine, I'm fine...Mila must just be happy in there...Avery was 11 days late you know!" But after a while I started to feel a little "different". 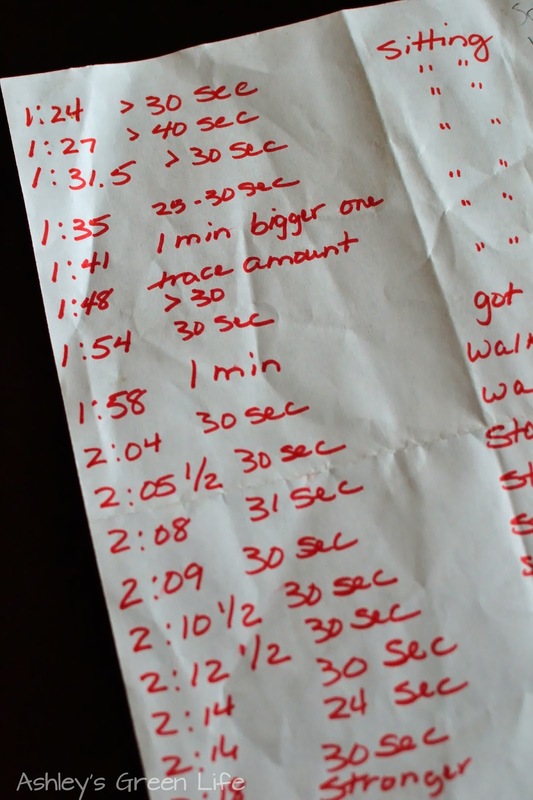 As I went about getting things ready for the day and last minutes tasks crossed off my "maternity leave checklist" I started getting some cramps, kind of like period cramps. I figured I would eat something and see if the went away. Let me tell you how I met Mila! Wrong, they just turned into mild contractions. I figured the were just Braxton-Hicks, which I had been having more of in the last few days, but usually those will go on for an hour or so and stop, but these contractions were still going strong by lunchtime. When I talked to Brandon at lunch and told him about the contractions, he asked what the count was that our midwife said to look for as being a sign that I was in labor, but I could not remember. I told him I would text her and then let him know later in the day how things were going. So, I text her, found out that if my contractions get to about consistently 6 minutes apart I probably want to be at home (since I was having a home birth). I had yet to time my contractions that day, because I was still convinced it wasn't the real thing, mainly because my water hadn't broke, I hadn't lost my mucus plug, and the contractions, while mildly uncomfortable, weren't "stop what you're doing and lean up against something" kind of contractions. So with the help of my para in my room (aka my "school mom" as I call her) we started timing the contractions. The results? They were about 3-4 minutes when I was sitting down and 2 minutes or so apart when I was up and walking around. Still convinced it wasn't the real thing, we continued timing and tracking for about an hour and a half. I kept saying, "Well, let me get through circle time and then we'll see how I'm doing, or let me get through recess and then we'll check." Finally, they started to get a bit uncomfortable and at a fairly steady 2 minute apart rate, I agreed with her that it was probably time to head home, at least to rest. So I let Brandon, my midwife, and my mom (whose job it was to look after Avery during the birth) all know that I was heading home, whether to rest or to have a baby I had no idea. When I got home, I headed right up to bed to lay down and listen to my favorite Gentle Surge relaxation track, which you may have remembered me practicing in this post. I figured I would lay there, the contractions would slow down and then we would see what happened. Well, like the rest of the day had gone, the contractions slowed down a bit, since I was literally just laying there, but they were stronger this time and it didn't take long for them to pick back up. By that time Brandon got home and I starting to shift into the mindset that I was in labor. As you can tell by most of the morning, I was in a bit of denial about the start of labor. I guess I just never felt completely ready like I did with Avery's, maybe that's because I waited 11 days after her due date for her to arrive, or because I felt like I actually had a chance to get everything crossed off my to-do list before she arrived. But things were different this time around, life was clearly much busier for me, and every day that went by, I still had more to cross off my list before I could officially, "be ready". But in that moment, I knew, now was the time...Mila was on her way! By now it was about 4:00 and this is when time starts to all blur together. To get through my contractions at this point, I practiced realxing my entire body during the hardest part of the contraction. This plan lasted about 15 minutes, until the pain started to get so uncomfortable that I knew I needed another plan. Enter plan B: during the hardest part of the contraction, I would exhale out strongly. To me, this felt good, it gave me something productive to do when the contraction came and I knew the extra deep breathing was helpful for my body and my baby. By that point, Brandon joined me in bed and was timing the contractions. I asked him to try pushing on my lower back during the contraction, so we did that for awhile. Then I found myself pushing on the headboard of our bed during the contraction, so I figured, why not push on Brandon? So we repositioned and I began pushing/hugging him. I guess in a way it felt kind of like I was giving my contraction away to him. 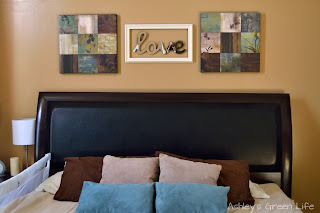 So I'd grab on to his arms and shoulders as the contractions came, and relax when they stopped. At this time we moved my iPod from being headphones to playing on speakers so I could hear it, and just with Avery's birth I put the Gentle Surge Track # 2 on repeat and this stayed on the entire time I was in labor. Now holding on tightly to Brandon worked well for a while. I enjoyed being close to him and it was nice to feel like I didn't have to do this whole labor thing all by myself. But then things started to get more uncomfortable and in a moment of desperation, I tried something I had read about a few weeks earlier from a midwife-idol of mine, Ina May Gaskin...we tried kissing through a contraction! And I'm not talking about a peck, or just pushing our lips together, I mean straight up making out. The craziest part of it all...it worked! It helped me make it through the contractions! By no means did it make the contractions painless, but it did help me manage them. Maybe it was because it gave me something productive to do every time they came that didn't involve holding my breath, tensing every muscle of my body, screaming loudly, or feeling literally scared out of my mind (all options I probably would have chosen if not for the kissing). Better yet, I didn't feel alone. I didn't feel like I had to take the work and weight of the labor by myself, I felt like Brandon and I were going through it together, and because of that I knew I could do it. our 6 year wedding anniversary. With Avery's birth, I felt like I had to do it by myself, as if it was my battle to conquer, my mission to succeed in. Heck, I even sent him downstairs while I was in labor to cook lasagna for dinner, why, I have no idea? It was my choice not his. We still joke about it to this day. 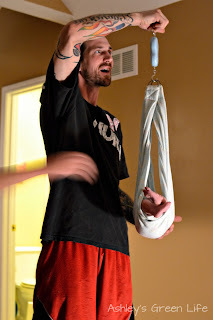 Later in Avery's birth, he helped comfort me during contractions from outside the birth tub, but this time with Mila's labor it was different, I felt drawn to him, like I needed him, and for once in my life I let him help me (not something I'm usually good at). So the for the next 2 or 3 hours, that's what we did. 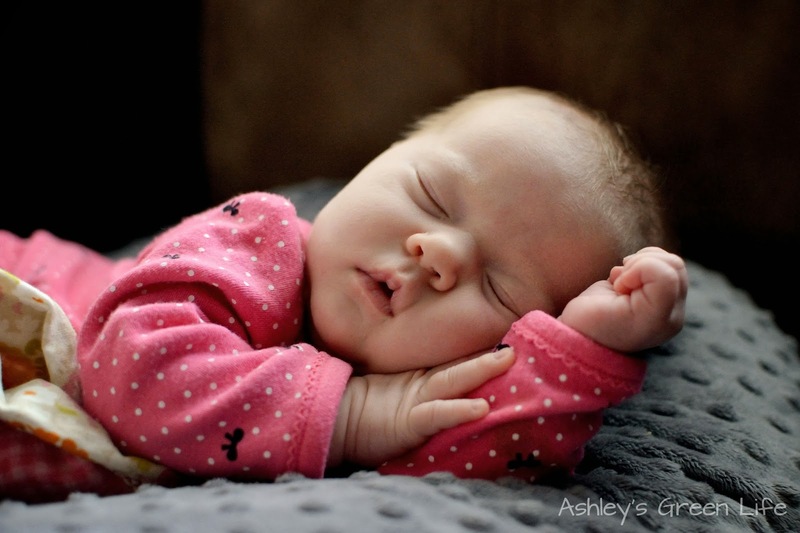 When a contraction came, I pulled him close to me and we kissed through it. When it ended I relaxed, caught my breath, and tried to rest. During this time, I went from the bed to the toilet, and usually back to the bed again. The contractions were continuing to increase in strength and soon my midwife arrived. I remember telling her when she got there, "Ummm Lisa...we've been kissing through the contractions just so you know!" Her response..."Great, whatever works for you!" And so we continued. I'm pretty sure that there's no way I would have felt comfortable doing this if anyone else was there or if we were in any other place. "When you kiss during labor, blood rushes from the thinking part of the brain, the neocortex, to the vaginal tissues which causes swelling that enlarges the vaginal opening enough to make painless penetration possible." 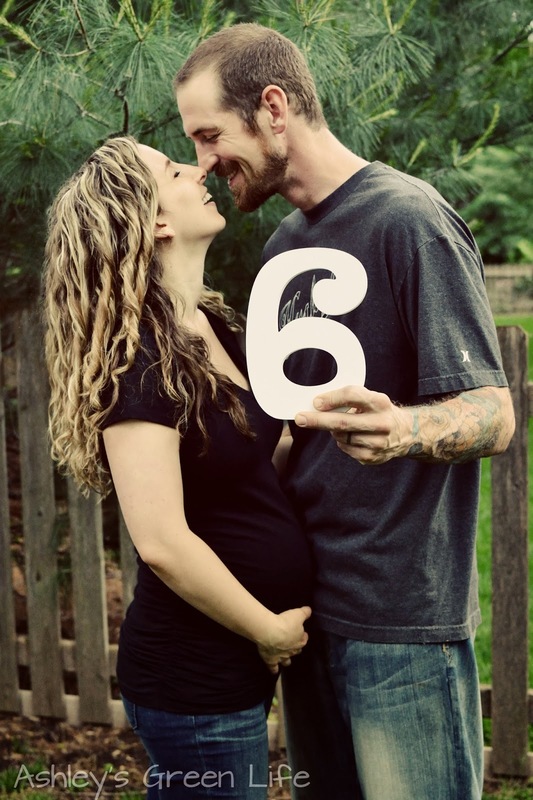 She goes on to state that kissing during labor also allows oxytocin and beta levels to soar. Now while, I wouldn't exactly say that my labor was painless, I'd like to think that kissing helped dilate my cervix and shift my focus from my mind to well, you know where. because during labor it was dim lights only! 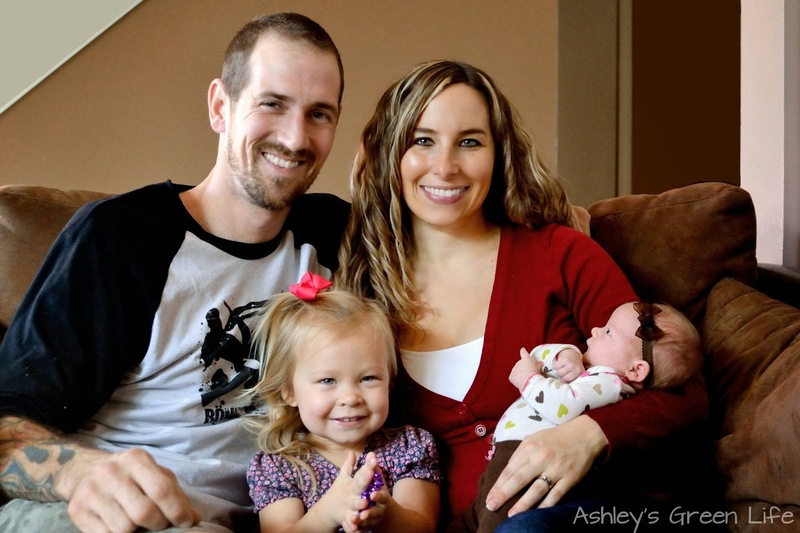 As I progressed further into labor I began "transitioning" something I remember all to well from Avery's birth, and the one way that I knew this was because my legs began to shake, kind of like I felt cold and was shivering, even though I wasn't. The tricky part at this point was finding a position where I was comfortable and my legs wouldn't shake. I felt a strong urge to be on my hands and knees, squatting, or sitting on the toilet, but those were all positions that were becoming a bit tiring for my arms and legs. So we tried a new position in the bed, in a semi-reclined sitting position where Brandon was sitting up and I was leaned/reclined up to him. In this position I was able to let my arms and legs rest completely and focus solely on each contraction. Unfortunately with this new position, I was unable to keep kissing Brandon (bummer!) but by that point the contractions were quite a bit more painful and I found it harder to kiss Brandon, and instead found myself trying to breathe during the contraction. So my new contraction plan became to make low vocal sounds as I exhaled during the contraction. This is something my midwife taught me during Avery's labor and that we called upon again this time, mainly because this sound is more helpful in focusing on pushing the baby down, compared to high sounds like "Ahhhh!". So as the contraction came, Brandon lightly placed his hands on my chest (which helped me focus on where I should be vocalizing from) and I would moan/yell in a low vocal sound by saying the word, "Ohhhhhhhhh" as I exhaled and holding it as long as I could. Then the contraction would stop, I would catch my breath, rest, and then the process would repeat. It's all a bit fuzzy, but I believe that as I was saying this, "Ohhh" sound I was also starting to push, but I'm not sure. After a while of doing this, my water broke (all over my bed...that was luckily covered with multiple towels and plastic sheets!) and that's when things really started to pick up. I felt a great sense of release once it broke and after my midwife checked me she said Mila had moved down substantially and would probably be born very soon. This is the light at the end of the tunnel that I needed to see to help get me through the last and probably toughest part of labor. Nothing is more motivating than knowing the end is near, right?! So at this point I moved into a squatting/kneeling position and began pushing. Now these pushes were completely self-led, meaning no one was telling me, "Push, push push!" Instead it was all me, when I felt ready during a contraction, I pushed as much as I could, and when the contraction was over, I stopped, caught my breath, rested, and prepared mentally for the next one. After several of these pushes, Mila's head was visible and crowning...the end was near. 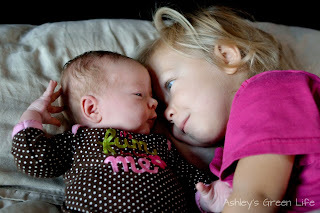 I then repositioned onto my hands and knees, so there would be more room for her to come out once she was born, and I continued my pushing during the contractions until her head was completely out. Next, it was time to push out the rest of her body. This is the part of labor that I had so been preparing for mentally, because it was obviously the hardest and most painful part, and the part I needed to draw forth the most focus. I tore quite a bit during Avery's labor at this point because I was so ready for the pain to be over and to have my baby in my arms, but for this labor, I was determined to do it differently. So with the help of my midwife, she instructed me to do "a little push" and then "a little breath"when I was ready, so that's what I did..little push, little breath, little push, little breath, as I slowly, and gradually pushed the rest of her body out. I won't lie, this was clearly the most painful part, and I can remember feeling that at one of the little pushes an overwhelming urge to vomit, luckily I didn't and within a few seconds, Mila was out! Our little girl was born. Official time check was 9:39 PM. It's seriously insane how the second she was born, the pain stopped. Or at least if it continued I didn't care one bit about it because my baby was in my arms. Right after she was born, I sat down on the bed, and held her in my arms. And in a warm and welcoming fashion, she had her first bowel movement all over me...lovely, right? But I couldn't have cared less! I remember looking at her and thinking, "Wow, she looks a lot like Avery did when she was born." 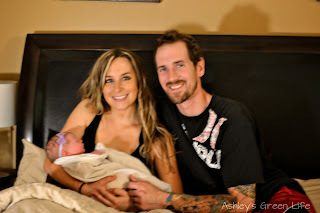 Our first...and a little blurry, family picture. At that point, sat back in the bed, and she was placed, skin to skin, on my chest while my midwife did some checks on her. All looked well, and shortly after, she began to crawl towards my chest, and after a few minutes she latched on and began nursing. Her umblical cord was still intact and pulsing, so it was left in tact for the time being. Meanwhile, I continued to have mild contractions as I prepared to birth the placenta. Maybe about 15-20 minutes later, and in one final push, the placenta came out. It was then saved and placed in a Ziploc bag, and placed in my fridge so it could be encapsulated in the days to come (something you can look for to post about in a few weeks). During this time my midwife also checked me to see if I tore or was in need of stitches, and even though I did still tear this time around, it was minor in comparison to last time and I only needed a couple stitches. Yeah! After letting Mila nurse for a while, we then weighed and measured her, and then it was back to bed with Mom and Dad. My midwife helped get everything cleaned up, and then she headed home as well. As you can tell, by having a home birth we skipped several routine newborn procedures that are usually done at a hospital, such as Erythromycin eye drops, a Vitamin K shot, a Hep B vaccine, and she was not given a bath (we like to leave the protective vernix on her skin on for at least a day or two). In case you're wondering where Big Sister Avery was at during all of this, she was with my mom, a plan we had arranged earlier in the pregnancy. I knew I wanted her to be home so she could see Mila shortly after she was born, but I didn't feel complelty comfortable with her in the room while I was in labor. I wasn't sure how she would react to me being in pain, or how I would react to her seeing me like that...so instead she played, watched her favorite movie, ate dinner, and eventually went to bed all with the help of my mom. So, when Mila was born around 9:30 PM, Avery was already long gone to bed. So instead of waking her, we soaked up our first night with Mila by ourselves and then had Avery meet Mila when she woke up the next morning. 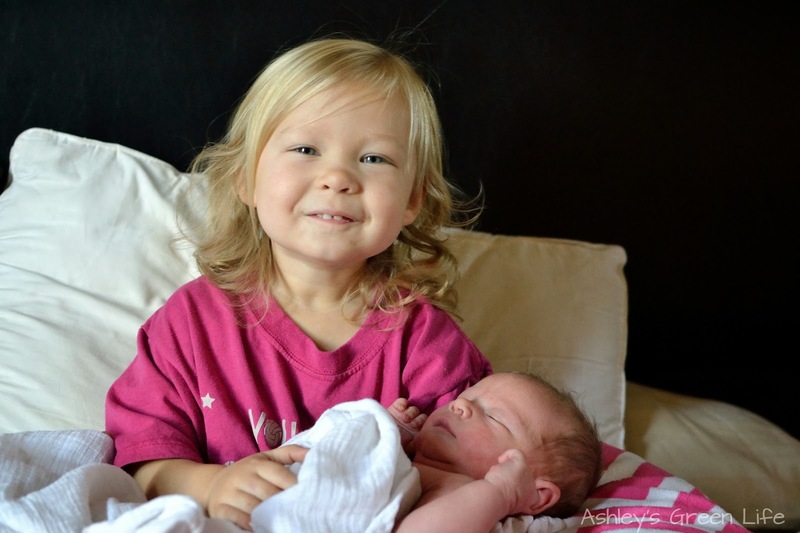 A very proud Big Sister! So there you have it, my birth story of Baby Mila. One reflection I have on this birth is how connected I felt to Brandon this time around...obviously making out with him for most of the birth kind of helps with that! Or perhaps it reflects a change that has occurred in me since Avery was born, specifically the part of me that's willing to accept help from others. Maybe you can relate to this or maybe not, but for a long time I relied only on myself to get things done, but after having Avery I learned this was impossible. Most importantly, I learned that the person I needed to rely on most was the one who I got into this whole little thing I call "life" with... my husband. many more posts and videos! This was lovely & had me crying a bit now. Congratulations!